The P-3 Orion Research Group is a cooperation of Jaap Dubbeldam and Marco P.J. Borst. We both used to be "aircraftspotters" at the former RNLNAS Valkenburg in The Netherlands. Jaap's P-3 archives go back to the early seventies. 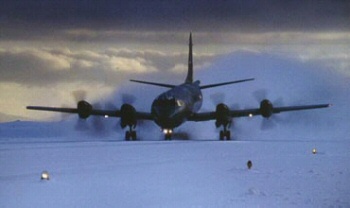 Marco started to collect P-3 information in 1981 when the Royal Netherlands Navy received its first P-3C Orions. We started to cooperate as the "P-3 Orion Research Group" in January 1990 and today we consider ourselves as the world's leading experts on the Lockheed Martin P-3 Orion. Our first major project was the compilation of a booklet on the P-3 Orion which was published in February 1996. A year later, in 1997, we started the P-3 Orion Research Group website. Marco P.J. Borst has also written numerous articles concerning P-3 Orion squadrons and their operations for international magazines like the former "Airborne LOG" (published by Lockheed Martin), "Maritime Patrol Aviation" (published by VP International), and "Air International". The P-3 Orion Research Group (PORG) has published its second "P-3 Orion" booklet - which was an all-English version - in March 2001. This booklet features the same main chapters as the 1996 version but each chapter had been brought up-to-date. In 2011 we decided that there would not be a third issue of our booklet. Instead the "P-3 Aircraft Location History Report" was published on our website since March 2012. This P-3 production list is updated four times a year. THIS WEBSITE IS IN NO WAY CONNECTED WITH ANY OFFICIAL AUTHORITY. THE P-3 ORION RESEARCH GROUP IS A PRIVATE INITIATIVE OF PEOPLE WHO ARE WELL DISPOSED TOWARDS THE LOCKHEED-MARTIN P-3 ORION.